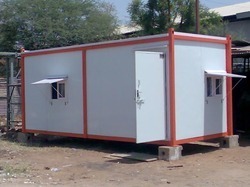 Prominent & Leading Manufacturer from Chennai, we offer sandwich insulated bunkhouse, ms insulated container readymade structure, eps sandwich panel container, sandwich panel containers, container hospitals and portable office containers. 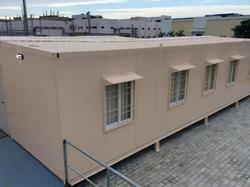 We are passionately engaged in offering an exclusive range of MS Insulated Container Readymade Structure. Intricately designed by our innovative craftsmen with superior grade raw material and advanced techniques as per the need of our valuable clients. This structure offered by us is checked under various parameters of quality in accordance with the international standards. Apart from this, our skilled professionals are capable of making offered range in various designs and shapes. 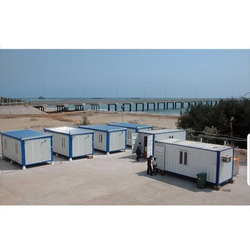 To meet the variegated demands of our esteemed patrons, we are engaged in offering an exclusive range of EPS Sandwich Panel Container. 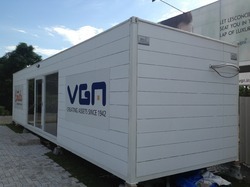 While designing this container, our professionals use only premium quality material and cutting edge techniques in compliance with the predefined international quality standards. Apart from this, our product can be modified as per artistic tastes of our respectable clients. 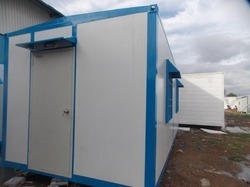 Clients can avail the offered container from us at market leading prices. 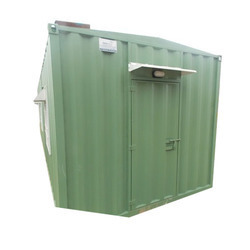 Looking for Insulated Container ?